You are here : New York City Travel Tips » Where? 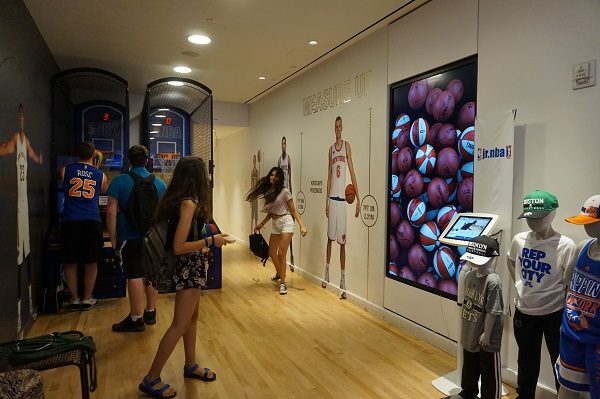 » Manhattan » Midtown » The NBA Store of New York City, not only for NBA fans! 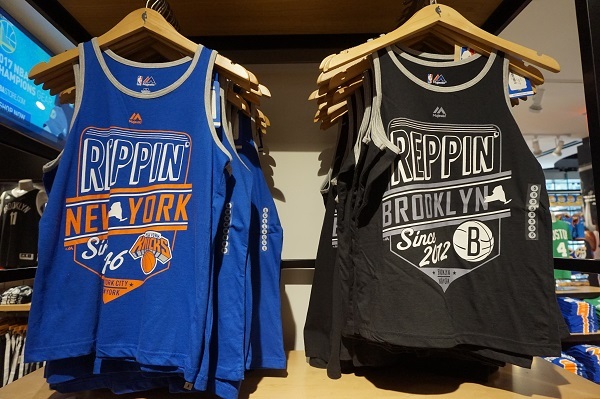 You can root for the Knicks, the Nets or any other team in the NBA. 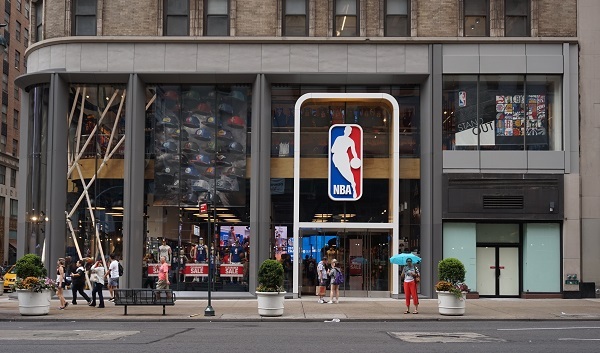 If you love the NBA, you have to visit the NBA Store on 5th Avenue! 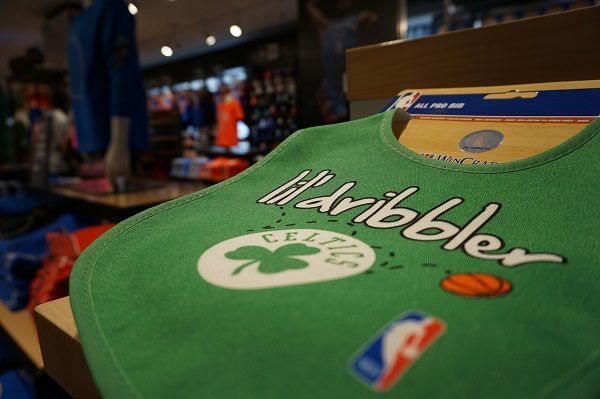 ├ How is the NBA Store? ├ What to find in the store? ├ What is the good plan of this store? 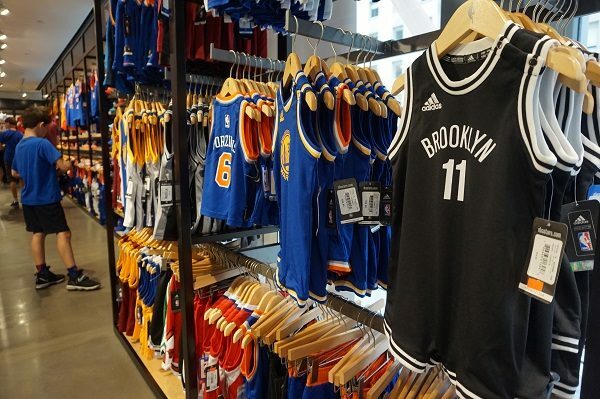 ├ Where is the NBA Store? 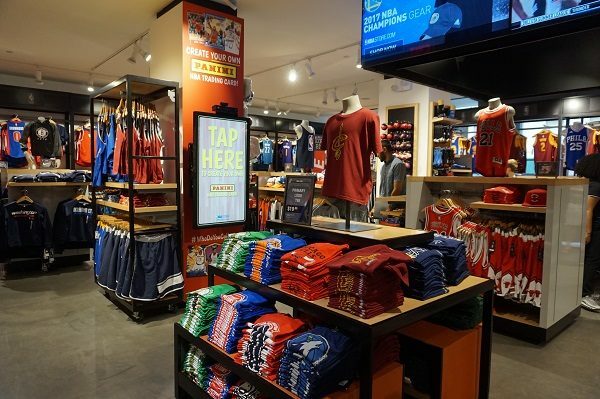 How is the NBA Store? 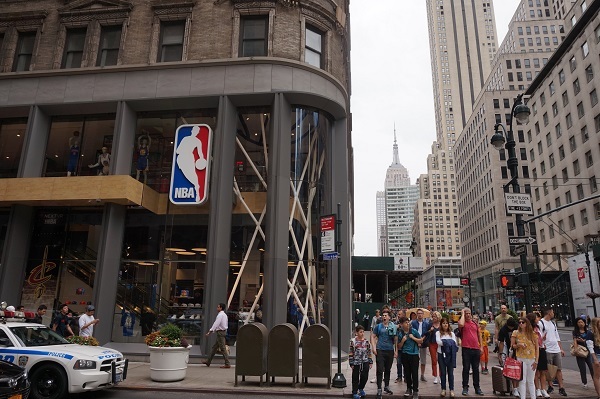 The 5th Avenue is famous for its luxurious department stores. NBA Store does not sell tuxedos but it fits perfectly into the fashion avenue, thanks to its modern architecture and classic feature. 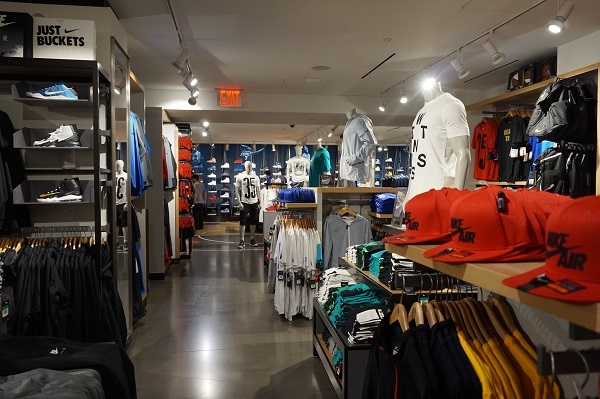 The store is about 25.0000 Sq ft or 2300m2 covering three very well decorated floors. 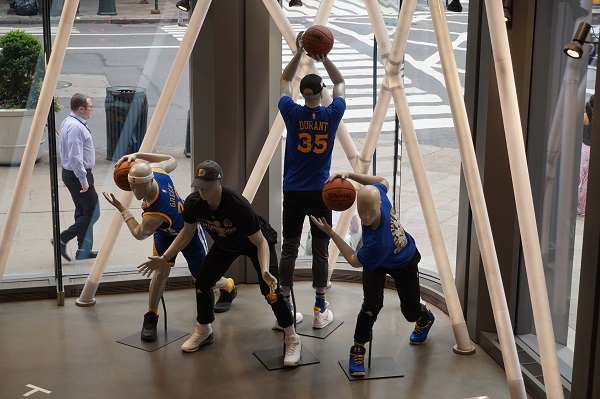 It's a real basketball temple! 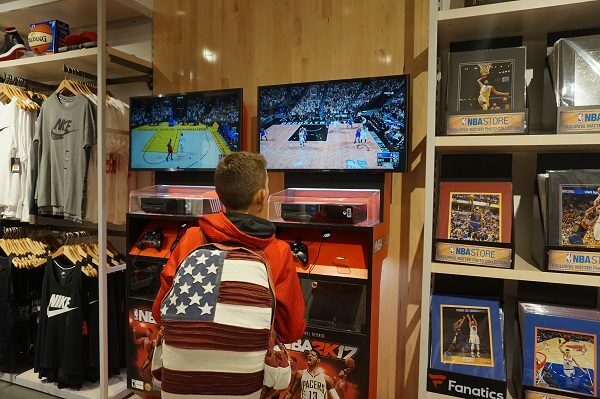 What to find in the store? 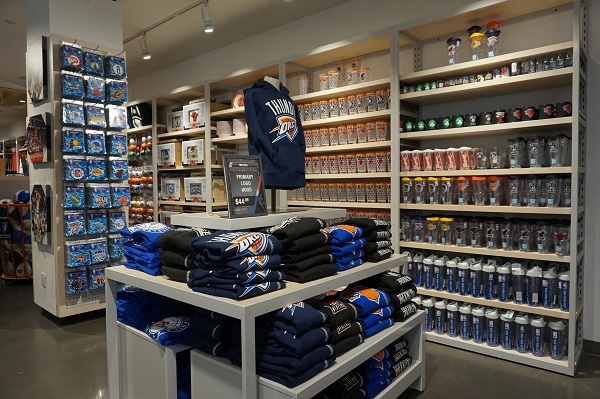 You will find a large number of merchandise and objects named after all the NBA teams. You can be a fan of any team and find something you’ll like. 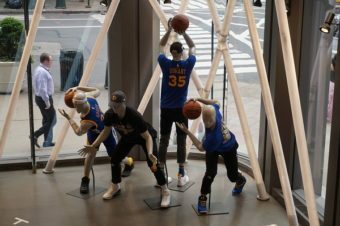 Of course, the New York Knicks and Brooklyn Nets appear everywhere, but you can find the Golden Warriors or the Chicago Bulls as well. 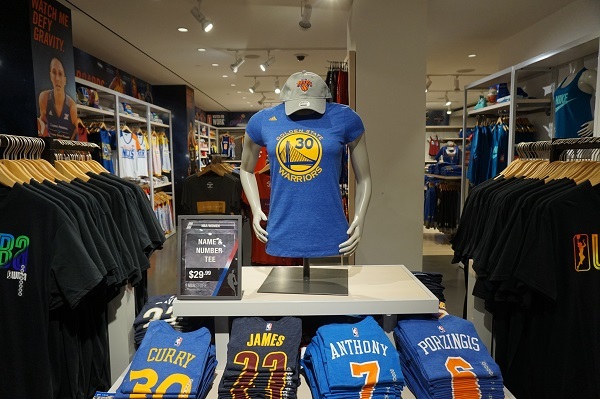 The women's league, WNBA, has its section, but it is smaller. If you like goodies, you have to go to the first floor. 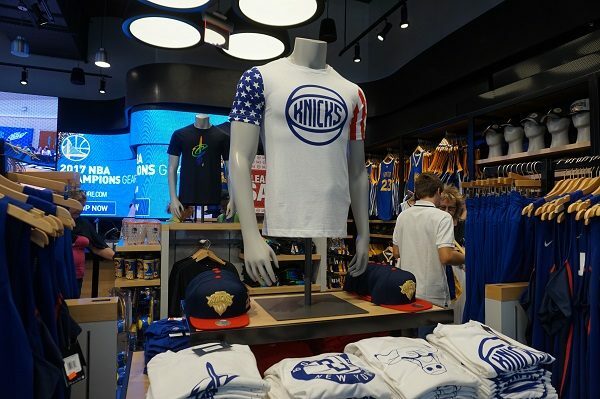 There are many accessories, they are perfect for a souvenir of your trip to New York. 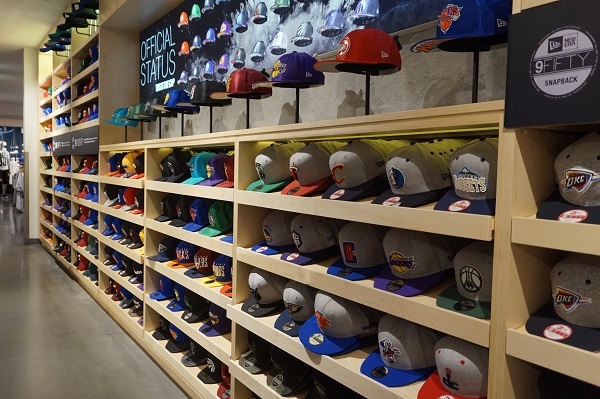 If you like caps, I guess you have already gone to Lids, but NBA Store also offers a large selection as you can see in the photo. 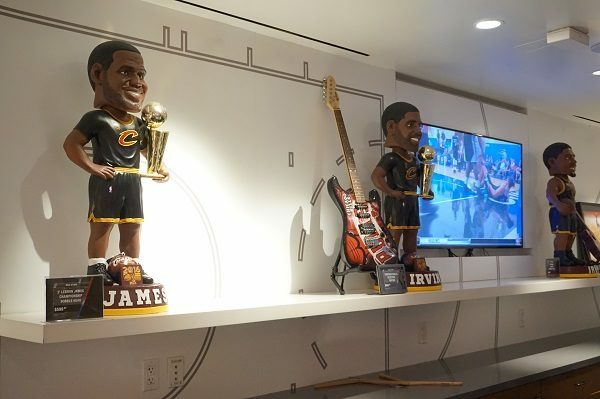 You can buy original items ... a bit pricey like the statues of your favorite players. 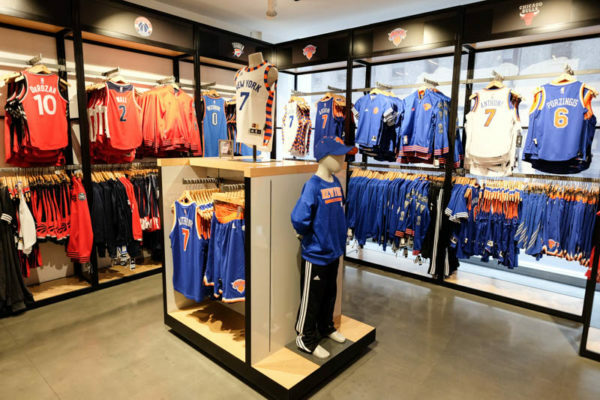 What is the good plan of this store? One might think that there is nothing else but clothes. 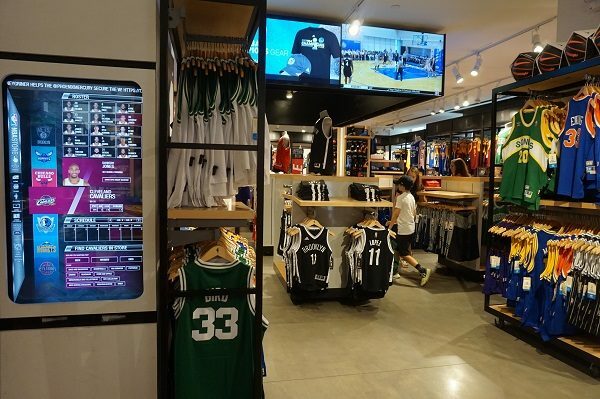 But no, there are screens everywhere displaying what the players post on social networks, results of the season, they also organize special events like interviews of famous NBA players. As you can see it is very fun to walk through the sections of this store. 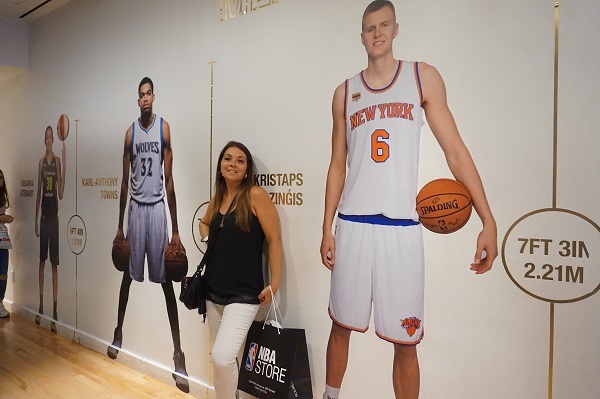 You do not have to be a NBA fanatic to enjoy it. Where is the NBA Store? It is located on 5th Avenue next to the new Adidas store. 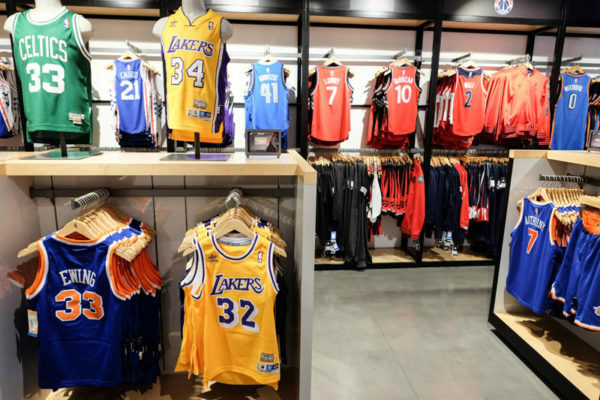 The NBA Store is a must-see if you are a basketball fan, and even if you’re not. 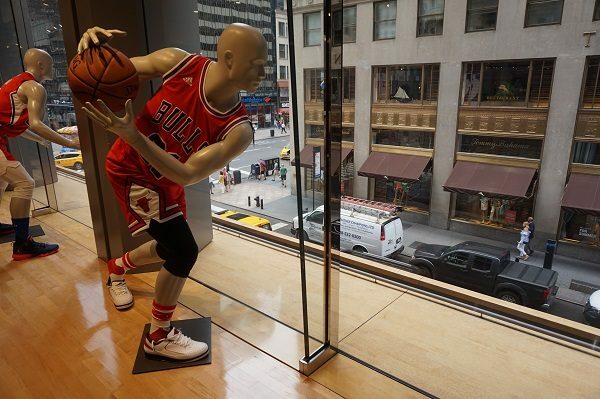 Well, I think you’re now ready for a basketball game!